If you are looking for the best infant car seat for your child, there are a number of features you will want to consider before deciding on any one seat. Guidelines to follow include the baby’s age, his or her height and weight, how long the seat will be in use, how safe it is and whether it meets state standards for infant car seats. You will also want to determine whether it fits your vehicle and can be easily removed when necessary. 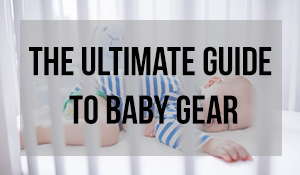 Hopefully this guide will help in your search for the best car seat for your little one! Chicco’s KeyFit 30 car seat system has been rated a best baby car seat and is equipped with cutting-edge features that make installation a breeze. The seat offers a well padded placement area and includes an additional padded (new born) insert for support of a smaller child. The seat is capable of handling 4-30 pounds and with the additional insert, it can accommodate smaller infants from 4-11 pounds. Other features include a tightening and loosening one-pull (LATCH) harness system that provides quick placement, release and a tight fit. The inner shell contains energizing absorbent foam and the seat’s base has spring loaded footing, plus each side of the base has level indicators. Belt routing and a lock-off system are also included for vehicles that aren’t able to accommodate a LATCH system. There is protection from vehicle seat damage with the inclusion of an enclosed underside to the carrier. The plastic parts and harness are easily cleaned with mild soap, water and a sponge, while the inner fabrics can be machine washed (delicately) in cold water. The seat complies with Federal Motor Vehicle Safety Standard 213. It measures 29.5 x 19 x 16 inches and weighs 17.15 pounds. Graco’s SnugRide 30 is considered another best infant car seat because of its lightweight nature and superior protection. Transferring a child back and forth from a vehicle to a stroller is a whole lot easier with this car seat. It is designed for use in a rear-facing position and holds a child from 4-30 pounds. It has a 5-point adjustable front harness and is outfitted with Click Connect technology, which provides for a quick and easy attachment to other Click Connect strollers. The cushion part of the seat is machine-washable and any metal and plastic parts can be easily cleaned with soap and water, while the buckle can be cleaned with the swipe of a damp cloth. This GRACO car seat and others in the line are thoroughly tested to meet and go beyond US standard FMVSS 213. The seat measures 26.75 x 17.5 x 14 inches and weighs 11 pounds. Primo viaggio 4/35 is an Italian made rear-facing car seat that has an upgraded design that includes an advanced level of safety. It is car seat that can handle a child from 4-35 pounds at a little less than 3 feet in height. The shell of the car seat has an energy absorbing capacity (EPS) that provides added protection and is permeated for added air circulation. There is double stage cushioning with two cushions that consist of a first stage for newborns of 4 pounds that brings added support to a child’s neck and bottom. A second stage supports ongoing growth. Both are meant to properly support and position a baby’s head. They are made of a soft and comforting jersey fabric to assure comfort in every season. Beautifully fashioned and tailored embellishments bring this car seat to a level of classic elegance. There is a 5 point harness system that includes an adjustable hood that provides protection from the sun and the weather. This is another car seat system that is easily attached to other Peg Perego strollers, minus adapters, and it can be conveniently used without its base when traveling. The seat measures 28.9 x 17 x 25.3 inches and weighs 21 pounds. Maxi-Cosi has created a special car seat in this Mico AP edition. It is part of an artful Bohemian collection that is focused on unique and playful color patterns creatively fashioned to instill whimsy and fun with a young child. This is another lighter weight car seat that has an ergonomically designed handle for carrying comfort. The car seat can also be removed from its base and easily and quickly placed with a Maxi-Cosi stroller, which makes travel with baby a cinch, whether a newborn or older. Other features include side impact air protection and a cushion system that is protective of a baby’s head, in just the right spots. Fine and soft fabrics and a 5-point padded harness provide security and a pleasant ride. A Cozi-Dozi insert for the head area is included for added support as is a sun canopy for protection from the sun and other light. The seat measures 16.5 x 18 x 31 inches and weighs 18.8 pounds. The MESA is a new and innovative design in infant car seats that includes a SMART Secure system. The system is quickly and accurately installed through an integrated automatic retraction system of LATCH connectors along with a visual indicator that shows a completed installation when the indicator changes from red to green. The seat is specifically fashioned for infants from 4-35 pounds and up to a few inches short of 3 feet (32 inches). Other updated features include a front adjustable harness, with no re-threading, which also includes protective side impact features and storage availability through pockets for harness buckles. There is a one-handed release system that allows for attachment to other strollers without the use of adapters. A protective hidden canopy provides for sun protection. Leveling is easily secured through a four position adjustable foot device. The seat measures 17 x 17.5 x 31 inches and weighs 26 pounds. An infant car seat is designed for a child from birth up to two years of age. At two years of age, or a little after, it is probably time to make a change to a larger seat. In the case of a premature infant that is not up to a certain weight, a car bed should be considered first before graduating to an infant car seat. As it is considerably safer, an infant’s seat should also be positioned and placed in your vehicle with the carrier facing to the rear at least up to the age of 3 years old. This has been the recommendation of national safety experts. Another safety concern is with the placement of infant seats in the top of grocery carts. This is not recommended unless another adaptable carrier or sling is utilized. A good infant seat will also be one that can also be used as a carrier, and the right models should have the capacity to be strapped directly to the seat of a car or have a base that can remain in a vehicle seat for direct placement. There are a number of bases available that can accommodate different vehicles. Depending on how fast your child grows and the size and capacity of the infant seat, one should last anywhere from six months to two years. Obviously, some babies are going to grow and mature more quickly than others and will require a different type of car seat that is constructed for an older child. Just be aware of the weight and height limit capacities on your current seat as well as any expiration dates with the seat, and go from there as to making upgrades. Another kind of baby car seat is the convertible type, which is used from the time of birth until a child actually gets too large for the seat. A convertible seat is one that can be used in both front and rear facing positions, but its use will hinge on the weight of a child. A rear-facing position is used for children up to 3 years of age, while a forward-facing positions is recommended once a child is beyond three. Unfortunately, convertible car seats cannot be used as carriers, as they are not portable or have bases for moving a car seat from one vehicle to another. They can be heavy duty and large, which makes them difficult to use with smaller babies, but their sturdiness does make them safer. All in one seats, which are also referred to as 3-in-1 seats, are comparable to a convertible car seat but incorporate a booster seat. This type of seat has an advantage with the booster, along with its ability to serve as one car seat for a period of time in a child’s growth. You can save by simply purchasing one seat plus have the ability to go from a rear facing position to a front facing position when you child is ready for it. It can be a cost saving and cheap car seat investment over the long run. Car seats that have a booster capacity should only be used in the forward facing position. They contain either buckles or a harness that can be used with an existing seat belt for strapping in. There is a weight stipulation that goes from 30-40 pounds, which is contingent on the model type. The advantage of a booster car seat is that it is the best car seat to use up to the time that an older child no longer needs to even use a car seat. With different state laws, however, it is best to check as to different weight and height requirements for any kind of car seat. 1. In order to choose the best baby car seat you can find, it is advisable to first go through your car owner’s manual to determine the best spot for the baby car seat and how to properly install it. In newer vehicles there will be Lower Anchors and Tethers for Children (LATCH) system for car seat attachment, or attachment can be completed through a conventional seat belt. Before purchasing, choose which system you want to use and how to install the car seat. 2. An age appropriate seat, along with a child’s weight and height are big factors in choosing a car seat. Again, a manual for a car seat should provide details concerning weight and height guidelines, particularly with rear and forward facing seat placement. 3. The right amount of room in the back seat of a vehicle is another thing to look for when it comes to choosing a car seat. A seat that has a large base simply may not fit in the back seat of a smaller car. You also have to think about the number of other children that may be occupying the back seat. Taking measurements ahead of time is the best way to solve the problem and also using a measuring tape while shopping for car seats, which will enable you to measure the base of possible car seat selections. 4. Ease of installation is a more important aspect of choosing a car seat. There should be both a manual as well as a visual (diagram) and written instructions as to installing a child’s car seat. 5. If you are choosing to use a car seat that utilizes a vehicle seat belt to incorporate with the belt system of an infant car seat, you want to make sure that the path with the seat and car’s safety belt are properly aligned so a tight fit is in place. No more than an inch of wiggle room should exist for any kind of movement with the seat placement and belt path. 6. Retainer clips should be part of an infant car seat, as it is hard for even older children to undo any kind of buckles and free themselves from the seat, so you want to choose a system with retainer clips. 7. Easily accessed harness adjusters are another important aspect of choosing a car seat. They should be easy to get to and quickly adjustable. If a harness is not adjusted effectively, the car seat itself will be less grounded in the event of an accident. 8. Last but not least, choose a car seat that is easy to clean and made of a washable and smooth fabric as opposed to a heavy fabric that is going to be hard to clean because of soiling and food spills. Sign up for updates to help on your road to parenthood!